While the Ontario courts tend to award amounts closer to actual costs, the Federal Court is headed in that direction – for better or worse. As long as the judges have discretion and use it wisely, the Federal Court mechanism for costs can generally mete out justice fairly. Costs awards are usually very hard to appeal successfully – especially one such as this where Justice Barnes has provided ample reasoning and a detailed calculation in Annex “A”. It will be interesting to see how Blacklock’s clear, convincing and un-appealed loss in its first Federal Court case together with this notable costs award will affect the remainder of Blacklock’s “litany of litigation”. Indeed, it will be interesting to see whether Blacklock’s proceeds at all in view of these recent substantive and costs rulings. 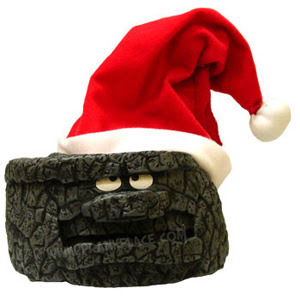 It is difficult, given the time of year and the circumstances, not to think about a “lump of coal” – indeed 65,000 of them. However, the Federal Court – while refraining to date from ruling on copyright misuse or abuse – is clearly sending a strong message to Blacklock’s.